HÀ NỘI — Cars lined up, causing a jam along National Highway 5 on Monday morning, as several drivers paid their tolls in small notes to protest the “unreasonable” tollbooth. The universal protest reportedly started at around 7.30am, when some of the drivers used small notes, such as VNĐ500 (2 US cents), to pay their VNĐ40,000 fee when passing tollbooth No 1 on the National Highway 5, the key route to the east of Hà Nội. The incident occurred on the lanes of Hà Nội towards the direction of Hưng Yên Province. The lines passing the station moved slowly, and began getting longer as the drivers took their time to count enough cash for the toll. An hour later, more drivers kept paying the fees in small notes. There were drivers who gave the toll officers VNĐ41,100, of which VNĐ1,100 comprised one VNĐ500 and three VNĐ200 notes. They insisted on getting the exact change for a VNĐ100 note, which is rarely used in daily transactions. The protest by the drivers adversely affected traffic in front of the tollbooth, and led to long lines of cars. Earlier, drivers in a private group on the Internet called on their members to use small notes to protest against tollbooth No 1, which was said to have been unreasonably placed on National Highway 5 by the Việt Nam Infrastructure Development and Finance Investment Company (Vidifi). The Vidifi’s tollbooth was collecting fees from vehicles on National Highway 5 to recover their investment into the Hà Nội – Hải Phòng Expressway, the drivers said. Drivers in the group planned to pay fees in small notes in the direction of Hà Nội towards Hưng Yên on Monday morning, and to switch to the other direction from 4.30pm in the afternoon. 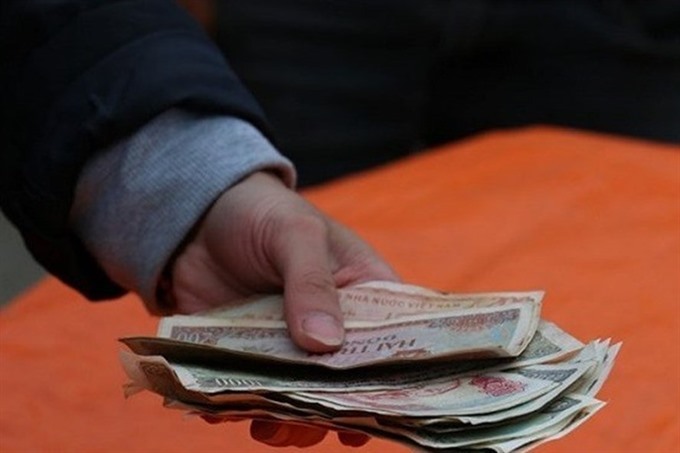 Vidifi’s National Highway 5 Management and Maintenance Board Chairman, Nguyễn Văn Huỳnh, said that the drivers’ payment in small notes was legal, however the prolonged intentional parking at the booth causing traffic jams was a breach of law. He added that Vidifi would call car-towing services to remove the cars stopping for too long. National Highway 5 is the main route to enter Hà Nội from the east, with up to 15,000-16,000 vehicles passing tollbooth No 1 everyday. The lowest toll is VNĐ40,000, while the highest is VNĐ180,000. The booth is built under the Build-Transfer-Operation (BOT) model. This is not the first time drivers have resorted to the small-note payment method to protest against a BOT toll station. 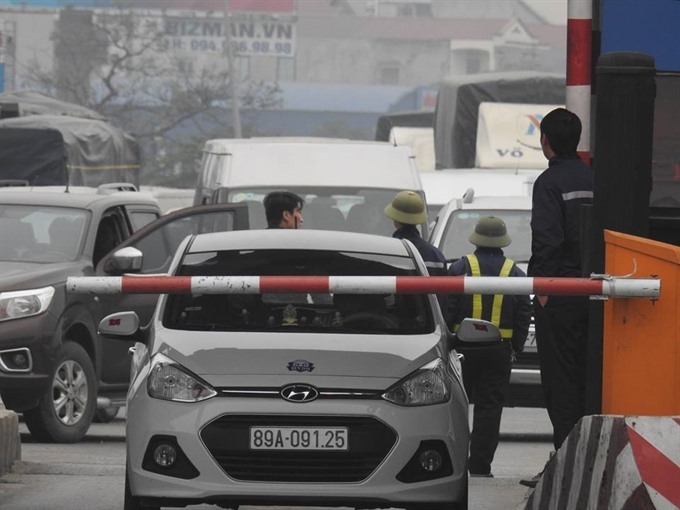 Hundreds of drivers managed to halt the operations of Cai Lậy tollbooth for several hours early this month, driving the Prime Minister to temporarily postpone the station’s toll collection for up to two months before the authorities could come up with a satisfactory solution. The Cai Lậy booth is located on National Highway 1; however, it collects fees for a 12km bypass of Cai Lậy Town in Tiền Giang Province, while some drivers only travel on the highway. Directorate for Roads of Việt Nam (DRVN) General Director, Nguyễn Văn Huyện, on Sunday said that the directorate would count the number of vehicles passing through both the National Highway 1 and the bypass from December 8 noon until December 16. It aimed to gather accurate data in order to propose the soundest solution over the Cai Lậy station to the Ministry of Transport, he said. The DRVN must submit the proposal no later than December 17. The DRVN was currently working on three scenarios, according to Huyện: to keep the status quo, to build another toll booth on the bypass or to move the station to the bypass with the government paying back the investor its investment into the National Highway 1 of around VNĐ300 billion. Huyện, however, said that the DRVN was also open to another scenario, in which the Cai Lậy station would keep collecting fees until the investor recovered its money from the highway investment. After that, the station would be moved to the bypass. Drivers paying tolls by small notes causes severe traffic jame.